This is the 3rd consecutive year that I have been accepted to exhibit at the Summer Exhibition. 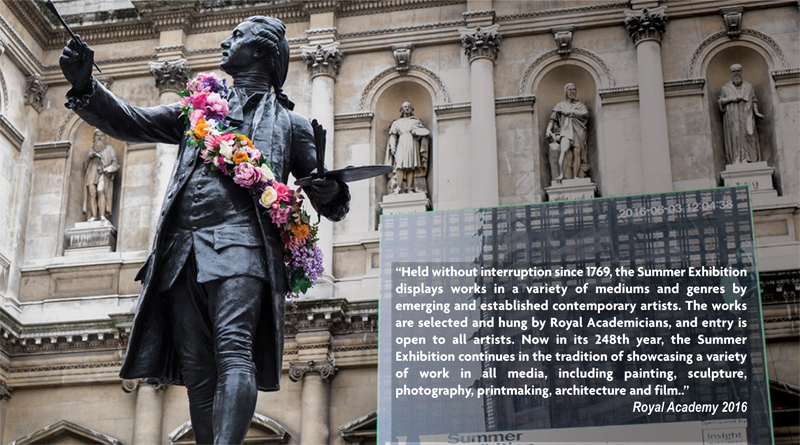 The first round, in March, is by digital submission and the Royal Academy accepts up to 12,000 entries; from this, some 4,000 entries are selected. You then take your work to the Academy in May for the second round, judged in front of the selection panel. About 1,200 works go forwards to the hanging committee and approximately 600 of those get hung. An invitation to Varnishing Day follows; this is an exclusive day for all the contributing artists. Meeting in the RA courtyard and, serenaded by a steel band, led by the clergy from St James church, we parade down Piccadilly, holding up all the traffic (brilliant!) for a short service. Then it’s back to the Royal Academy for a midday champagne and canapés reception and the first chance to see where you work has been hung. 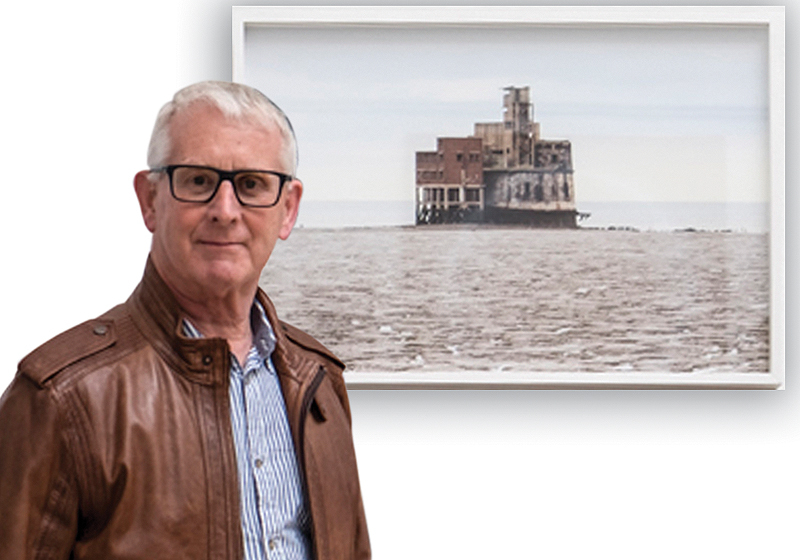 My photograph “Grain Tower” is in a good position on the wall in Room IV, curated by Jock McFadyen RA on the theme of “Radical Landscapes”. This is your chance to mix with the rich and famous of the fine art world, such as Tracey Emin and Yinka Shonibare, and all the other equally deserving artists who have been brave enough to participate in this, the most prestigious open art exhibition in the world. It is amazing to be part of such a longstanding British tradition that has been held for the past 248 years, and an honour that my work has been selected 3 times. Long may it continue and I’m already looking forward to entering next year! Dora Paynter adds: If you haven’t ever visited the RA Summer show, please put this annual show on your bucket list. It provides huge inspiration across the whole spectrum of art.